It's the Ninth day of #beautybrawl16 and there's only one day left which makes me so sad! It's been great being involved in this collaboration with so many beauty bloggers. Day Nine involves hand cream and I was recently sent this gorgeous Leafy and Lovely hand cream from Superdrug which has been brought out just for Christmas! This is only £1, it's incredible! 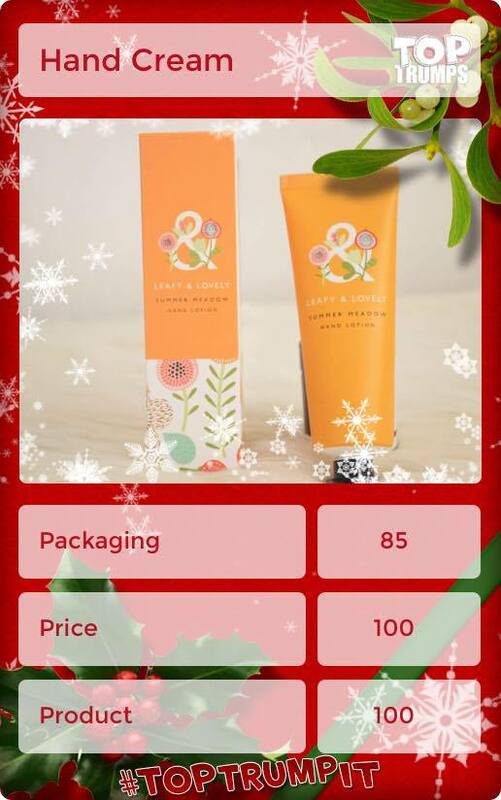 I'm so excited to be sharing this hand cream with you and it's such a shame it's only out for Christmas, I may just have to stock up! I absolutely love this hand cream, firstly because of the scent! It's a very fresh scent, I cannot exactly pin point what it smells like but I highly suggest checking it out before all of their stock goes! I also love this because it's not an oily hand cream, so many hand creams I have tried out and I have been left with oily, disgusting hands which means I then have to wash all of the hand cream off! It's a horrible circle of rubbishness! Thirdly, I love this hand cream because it hasn't reacted with my sensitive and eczema prone skin, it's wonderful! I squeeze out a small pea size amount of cream onto my hands and rub it all over, including my wrists and arms as these also get extremely dry! It's as easy as that! However, I'm always tempted to wash my hands afterwards. Every time I use this hand cream I am left with beautiful soft and silky hands with no oil! I'm able to touch my hair without leaving disgusting oil in it and my eczema isn't left sore and itchy either. I really struggle finding hand creams from drug stores because of sensitive skin and eczema, especially when they have fragrances in but this once hasn't seemed to cause an issue for my skin so it's definitely a keeper! As of yet I haven't found an issue with this hand cream. It's not oily, it hasn't caused any reactions to my skin and it smells incredible. I absolutely love this hand cream and I highly recommend it! For a hand cream which only costs £1, I love it! Love it love it love it! Who wouldn't love it? I'm so pleased to have found a hand cream which doesn't cost a lot which I can use on my hands without my eczema going absolutely crazy! If you suffer with dry skin or even sensitive skin, definitely check it out.